Honey-Spice Cake and Mocha Glaze. It's been awhile since we've had dessert here, so I thought I'd pass along this lovely fall recipe your way. 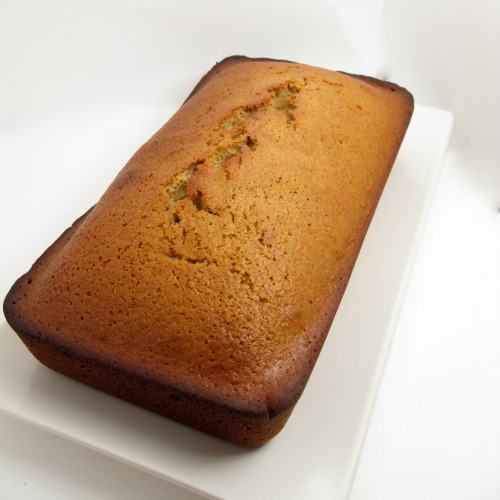 It's definitely a departure from the average white box cake, almost closer to pumpkin or banana bread in consistency rather than cake. That's alright though. The bold, rich flavors are perfect for a snack with afternoon tea or after-dinner coffee. I've found that I prefer this served warm, whether you eat it soon after it comes out of the oven or you reheat slices as needed. If you double this recipe, you can make a bundt cake, but I recommend making the loaf first, as small slices are so full of flavor that this cake serves many. Enjoy! Preheat the oven to 350°F. Grease a 9x5 in. loaf pan, or if you double the recipe, a tube pan. Combine the 2 T. butter and the zest in a small saucepan over medium heat; cook until the butter sizzles, then turn off the heat. Combine the dry ingredients in a large bowl. Beat the eggs and sugar together until the mixture is light and thick; beat in the honey and coffee, followed by the butter/zest mixture. Add the dry ingredients by hand, stirring just to combine; do not beat. Pour into the prepared loaf pan and bake for 40 to 50 minutes, or until a toothpick inserted in the center of the loaf comes out clean. Let the cake rest in the pan for 5 minutes before inverting it onto a rack. Remove the pan, then turn the cake right side up. Let cool before slicing. I frosted this cake with mocha glaze, also from the HTCE Veg. cookbook. I halved the original recipe, and I still had about three times as much as I needed. In retrospect, I think this would have been a great cake to top with simple homemade whipped cream. However, this is a great glaze for a chocolate cake, or even your basic white cake, so here's the recipe anyway. Combine all the ingredients and beat until combined and smooth; it should be about the consistency of thick maple syrup-just pourable. 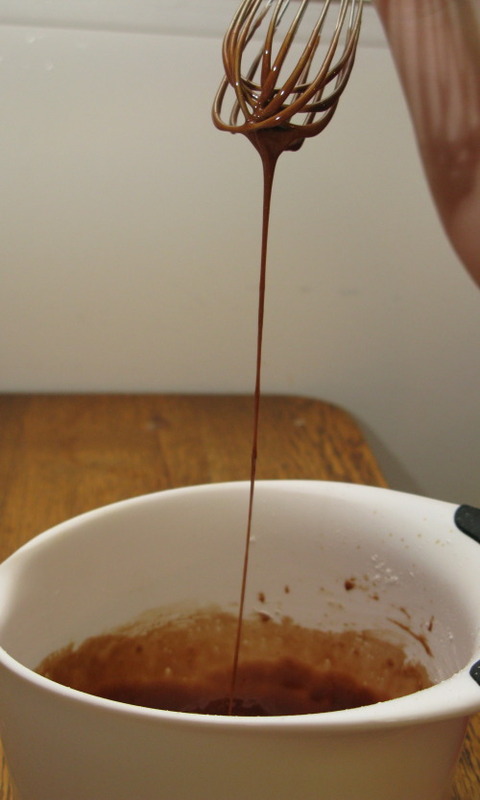 Adjust the consistency by adding a little more liquid or a little more sugar. Use immediately or store, covered, in the refrigerator for up to 2 weeks. Note: I've been stirring a small spoonful of the leftovers into my oatmeal in the morning. Delicious!